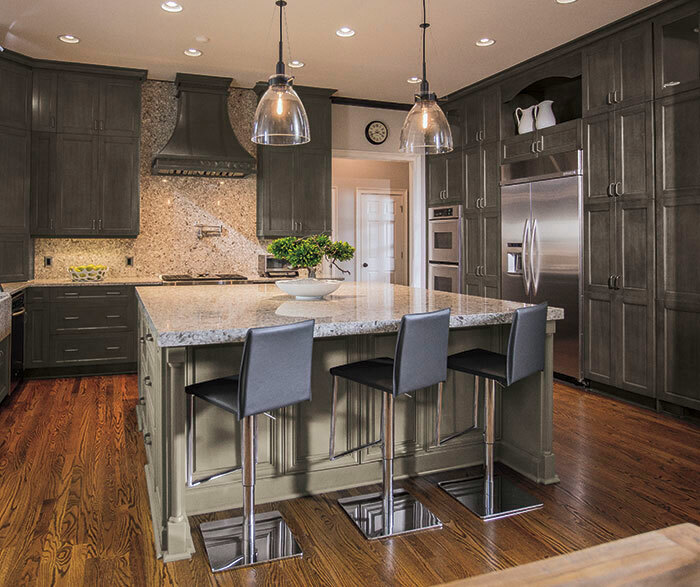 Should Your Renovated Kitchen Be Transitional or Modern? Home / Kitchen Renovation / Should Your Renovated Kitchen Be Transitional or Modern? If you are looking to renovate your kitchen you may have wondered what design to select. A lot of homeowners appear to be confused about the different styles of kitchen designs that they can choose from. We will try to clear the confusion and explain the differences between some styles of kitchen design. Hopefully, it will help you make the right decision for your kitchen renovation. 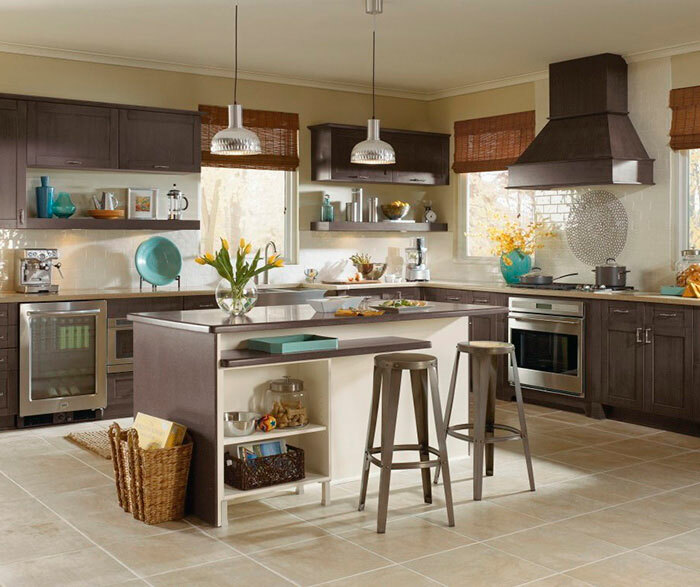 Modern kitchen design emphasizes efficiency and clean lines. This design was popularized during the 20th century and originated from the styles of German schools of kitchen design. The design had its peak from 1950 to 1970 post World War II. 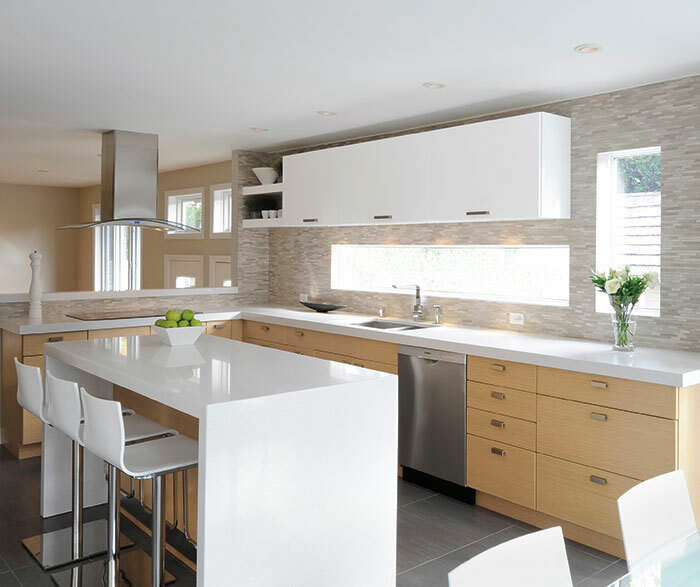 Frameless and flat panels are a common feature of a modern kitchen design. Cabinets often run up to the ceiling to avoid gaps and dust traps. Handles and knobs are made of stainless steel or chrome. 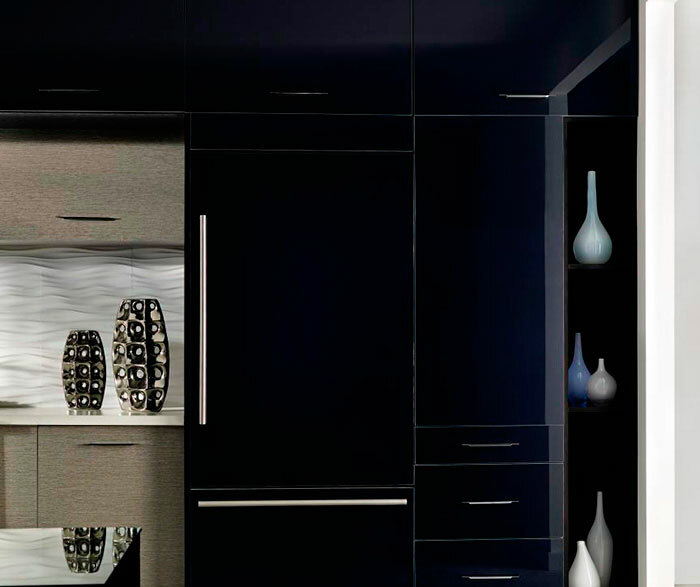 A modern kitchen relies on up to date electronics devices that are space efficient. Stainless steel appliances are more common with this style of kitchen. Marble countertops give a great minimalist look. Sharp lines and just a dash of color offer visual appeal. 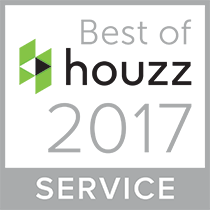 Countertops are selected for durability and easy maintenance. More popular materials for countertops are quartz, marble, concrete and wood. Lately, glass and stainless-steel countertops have also seen some popularity. Beautiful and versatile kitchen tiles are common in a modern kitchen style. Tiles with a modern design, bold colors are preferred although silver or white polished tiles have also been used to a great effect. 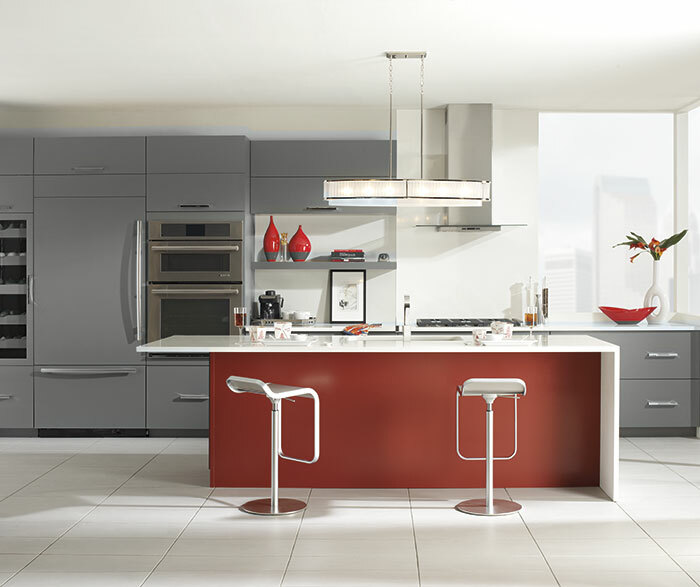 Gentle colors are more popular with modern kitchens. The most common themes are white, cream, pale blue, ash white and grey. Smaller kitchens are usually a lighter shade. With bigger kitchens homeowners can experiment more and choose a light and dark contrast. 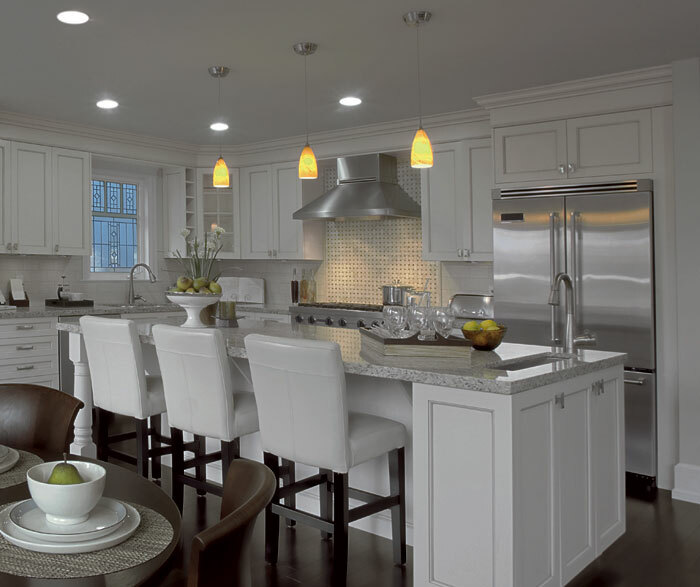 Kitchen lightings are also changing with time becoming diversified, flexible and more sophisticated. For a modern kitchen, homeowners prefer halogens and recessed lighting as the can give a much more striking appearance that works well. The lighting fixtures are usually placed in the ceilings but can also be set inside cabinets or under counters that give an amazing glow. Another emerging trend in lighting fixtures is of pendant lighting with chrome or silver finishing. A transitional kitchen can be great if you have limited space or want to improve communication and access from kitchen into the dining area. This design offers a great deal of flexibility and a good choice for homeowners that want to blend the kitchen into the adjoining area. Cabinets in a transitional kitchen are generally made of wood instead of a contemporary material. They have a more traditional design with framing panels. In transitional kitchen designs, common materials for countertops are granite, limestone, marble and wood to give a more natural look. For this style of kitchen, the tiles are more traditional in color and design. As the kitchen opens up to an adjoining it is common to use a variety of colors for the tiles that help the kitchen blend in with the dining room. 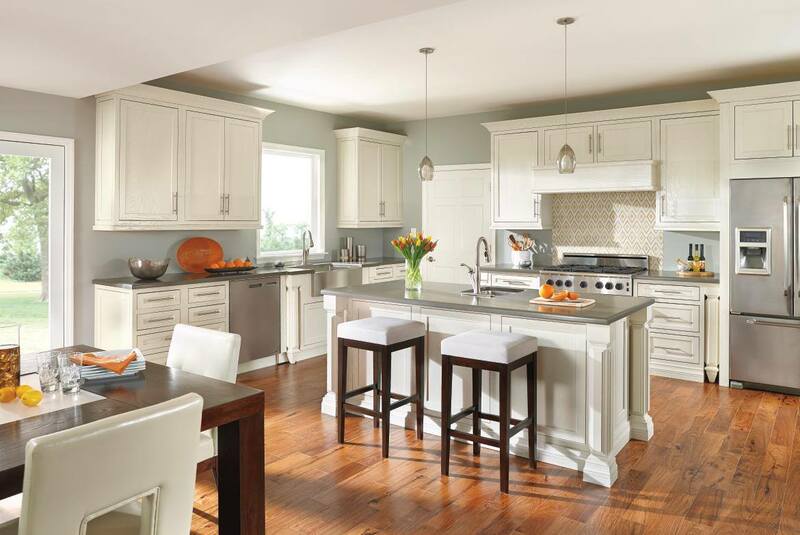 Color themes for a transitional kitchen usually range from a single color to a more textured approach. As there is usually more space to cover, transitional kitchen make a better use of pendant lighting fixtures by smart placement. 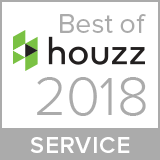 We hope that the comparison between transitional and modern kitchen designs gave you a better understating of the differences between the two styles. Do get in touch if you have more questions about design or would like to discuss your renovation ideas with Tango’s renovation experts and designers.